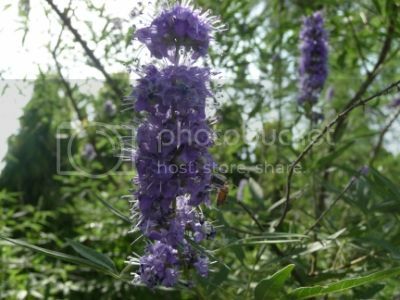 Common Name	Vitex, Chaste Tree, Sage Tree, Chasteberry, Indian Spice or Monk's Pepper. Fragrant or Not	Fragrant leaves & flowers. 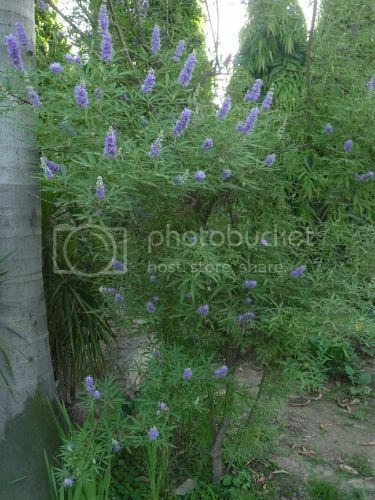 Category(Bush/Vine/Tree)	Can be termed as small tree but looks more like a shrub. Spacing	spacing of atleast 6 feet. Growing Areas Can be grown successfully in all areas of Pakistan provided guidelines mentioned below are followed. Frost Tender	Can be grown in Northern areas as well as in plain regions. It may struggle in cold northern areas like Gilgit Baltistan in winter season. Exposure	Grow in full sun to get maximum flowers. Soil pH	Can be grown in normal garden soil but site should have good drainage. Propagation	By seeds and cuttings. Uses Source of nectar for bees/butterflies who find irresistible and has medical uses. Fleshy fruit immediately develop after flowering which contain seeds known to have a flavour similar to black peppers (Monk's Pepper). It was used by monks to maintain their vows of chastity. Other Details	This deciduous shrub or small tree is drought tolerant. Here in Pakistan it is mistakenly referred as Buddleia Bush. Text and Photography by Imran Khurram sb.